Children and adults with disabilities and special needs find highest-quality services designed to meet their individual needs when they come to Easter Seals Nebraska. Teams of therapists, counselors and other health professionals help each person overcome obstacles to independence and reach his or her personal goals. 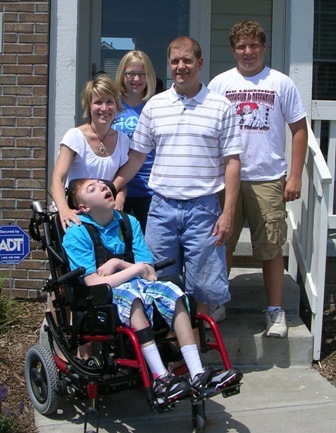 Easter Seals Nebraska also includes families as active members of any program, and offers the support families need. The Alternative Financing Program is an outreach program that provides low interest rate loans to individuals with disabilities to purchase assistive technology devices such as wheelchair ramps, modified vehicles, braille equipment, hearing aids and many more items. Fun, healthy programs for children and adults with disabilities to relax, connect with friends, and engage in constructive activities. Easter Seals Nebraska offers Overnight Summer Camp and Weekend Respite Camp throughout the school year for campers with any disability. Summer 2017 camp dates are here! Registration opens January 6, 2017. Nebraska AgrAbility helping farmers and ranchers who have sustained a disabling illness or injury, attain financial security and reach their full functional capacity. Assists Social Security disability beneficiaries (receiving SSI/SSDI) through Work Incentives and Benefits Counseling to make informed choices about obtaining, maintaining or advancing in employment; Provides Training and Consultation to businesses and agencies in areas related to employment for persons with disabilities.